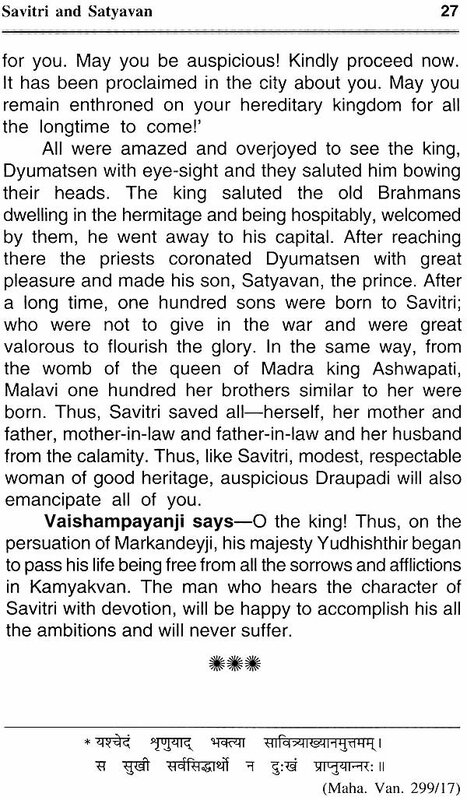 It has been said about Vedvyas – ‘It means – Lord Vedvyasji is Brahma without four heads, The second is Vishnu, having two arms and devoid of eye, existing on forehead is Shankar, it means He is the next shape of Brahma, Vishnu and Mahesh. 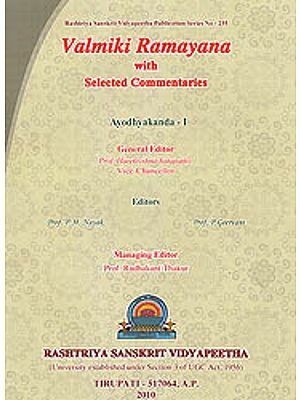 Whatever the noble and beneficial and unique writing are present in the world; they all are the left over of Vedvyasji. 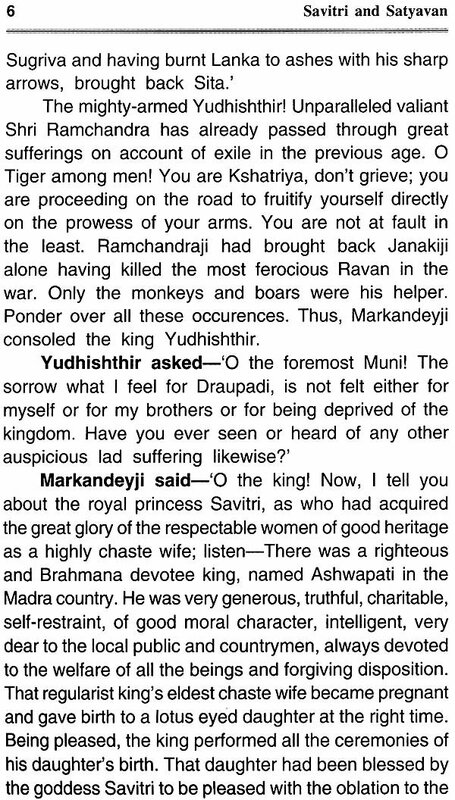 Such Vedvyasji Maharaj has composed Mahabharat for the welfare of the living beings. That Mahabharat has been précised in brief by the god-develotee and god-realized great sould Sethji Shri Jayadalji goyandaka. 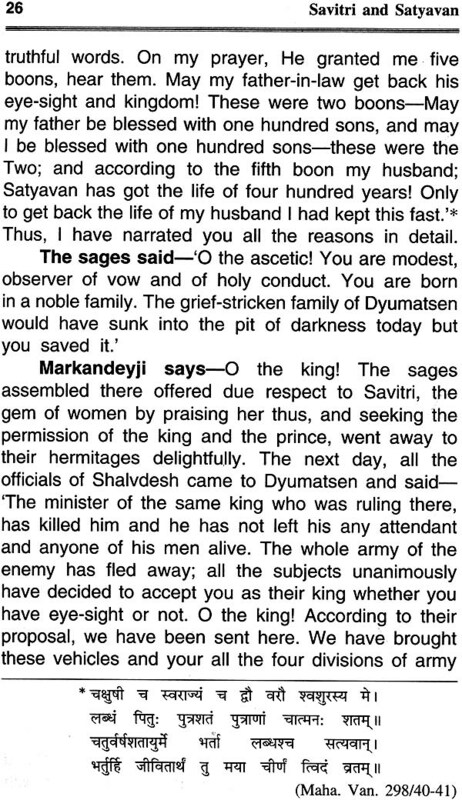 Thus some fables, very useful for all and sundry have been selected from the fables of original Mahabharat of as presented in concise form by Sethji. 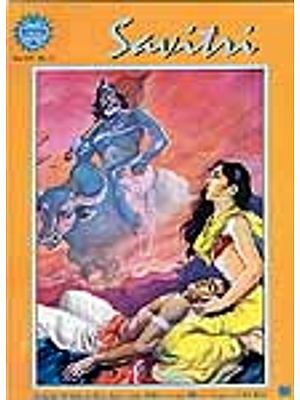 There is a unique power in these fables which are specially beneficial to the readers. One of the fables – ‘Savitri and Satyavan’ is being presented before the readers. 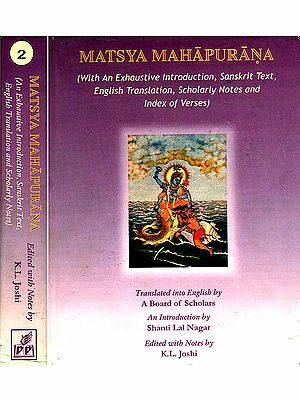 My humble request to the readers is that they should read this book themselves and encourage others also to read and imbibe its moral.